MIRIAM Lewis found her daughter dead in their family home. Now, the heartbroken mother has spoken out and blamed “gaslighting”paired with a “toxic relationship” as the reason her daughter decided to take her own life. Mrs Lewis found her daughter, Natalie Lewis-Hoyle, in her bedroom shortly before Christmas last year. 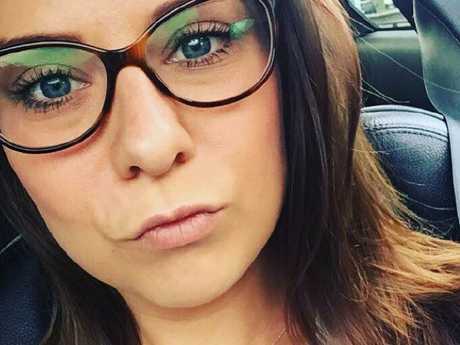 According to the inquest into Ms Lewis-Hoyle’s death, the 28-year-old had struggled with the ending of a relationship and an assault she had suffered a month before she died. Mrs Lewis, who was leader of Maldon District Council until May 2017, said her daughter’s relationship went on for two-and-a-half years, and affected the whole family. “She was a really feisty character and you wouldn’t think it would get to her but quite often the people that are controlled in relationships are women and are in fact, intelligent women, because they overthink and try to rationalise it,” she told Essex Live. “The people that are in these relationships often don’t realise it is happening and it is made up of actions that seem insignificant at the time. 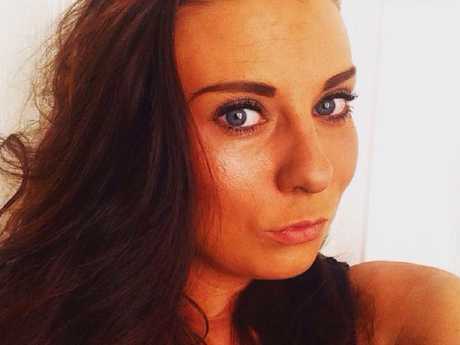 Natalie Lewis-Hoyle took her own life shortly before Christmas last year while in a ‘toxic relationship’. Mrs Lewis said her daughter was in “psychological torment” from the relationship. “We were just shocked when it happened because she was full of life,” Mrs Lewis said. “You could actually physically see a change in her – sometimes she would be so happy and then something would happen and she would leave the table and go outside and you would see her face drop. It was awful to watch. According to the inquest, Ms Lewis-Hoyle had been out drinking before her mum picked her up and drove them home in Heybridge, Essex. The young parish councillor was said to be planning her future and looking forward to Christmas before her mother found her dead the next morning on December 15. Her father, Labour MP Lindsay Hoyle, told the inquest that he thought she had some distressing phone calls prior to taking her life. “Obviously no one can judge what was in that phone call. We know there was a reaction to that phone call, that something happened following that,” he said. “I don’t know where that takes us with third party involvement. The mother of Natalie Lewis-Hoyle has hit out at gaslighting. Her family had appealed for help in deciphering what happened to Natalie in the hours that led to her death, as they said they were “truly devastated”. “Our family will never be the same without our loving granddaughter, sister and aunty,” Mr Hoyle said. Mrs Lewis told the inquest: “It’s my firm conviction there was an assault on the 23rd which was as the relationship was really deteriorating. It was a very toxic relationship. “I know that is the conclusion the police have had to draw and there’s a lack of evidence. “When someone is in psychological torment, you don’t get the bruises and fat lips and black eyes. During the inquest, Detective Inspector Gary Biddle from Essex Police confirmed there were no suspicious circumstances, no foul play or third party involvement in Natalie’s death. Mrs Lewis is now working Natalie’s former school, the Plume School, in Maldon, England, to help create a website “Chat with Nat” – which she hopes will help others who may be suffering from gaslighting. “People do not talk about it so I decided quite quickly that I didn’t want her death to be in vain,” Mrs Lewis said. “She was my only child. When she died, it took my life, it took my future. I will never have grandchildren. “Natalie has defined who I am for such a long time. I’m Nat’s mum. I don’t actually know who I am now, I’ve lost my sense of purpose. I was given a piece of good advice – when you lose a child, your life is never going to be the same again, it is finished right there and then but it doesn’t mean you can’t have another life. It will just be a different life.